Everyone at our practice recognises how vital your dental health is to you. It's because we understand this that we constantly strive to apply the very best standards in all that we do. Our commitment to quality has been recognised by external organizations. The practice is a member of the Good Practice Scheme run by the British Dental Association. This scheme is externally audited and ensures that member practices work to high quality standards. You can download a copy of the patient infomation leaftlet here. Our practice is registered with the Care Quality Commission(CQC). Our registration number is 1-153015918. The CQC offer a "Share Your Experience Form" at www.cqc.org.uk/your experience. This dental website is fully compliant with the UK Statutory Instruments covering Electronic Communications, Commerce and Privacy Laws, the Data Protection Act 1998 as well as the General Dental Council (GDC) Standards for the Dental Team. For further details please go to the Valident website. We take every precaution to safeguard patients and staff whilst at the practice. We follow all current guidelines related to health and safety. We comply with regulations among other matters related to COSHH and x-rays. The practice follows agreed procedures to keep your information secure and private. For more information, please see our Privacy Notice. At Dash Dental Care we take Safeguarding of children and adults very seriously. A copy of our Safeguarding Policy is available at reception. The Named Professional at the practice is Mrs Sharon Till. The deputy Named Professional is Mr Damian O’Shea. Your health and safety is of the utmost importance to us. We have therefore invested in the latest equipment to sterilizes instruments to the standards demanded by best practice guidelines of the Department of Health. Instruments are initially cleaned in a washer disinfector, inspected under magnification and sealed in bags before sterilization. The sealed instruments are sterilized in vacuum autoclaves. The sterile instruments are then only opened when ready to use for each patient. Many items we use are disposable. This process complies with current best practice so our patients can have peace of mind when undergoing treatment. 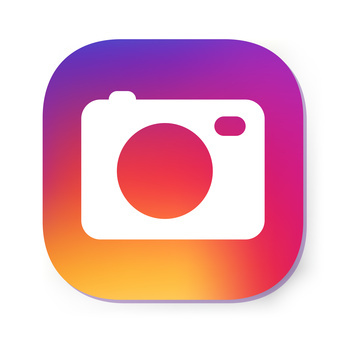 If you have any questions or wish to view the process we would be happy to help. In addition we use the Alpron system to ensure the quality of the water supply from the dental equipment. In a time of ever more rapid changes continuing postgraduate development is more important than ever to keep abreast of changes in dentistry. Both Damian O'Shea and Sharon Till undertake postgraduate education in excess of the requirements of the General Dental Council. Clinical governance refers to a range of activities and systems that ensure the practice delivers a consistently high quality of treatment and service to patients. 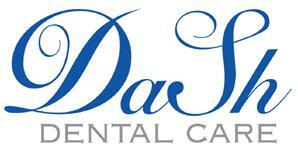 At Dash Dental Care we have embraced clinical governance as an ongoing process. The persons responsible for dealing with any complaint about the service which we provide are Mr Damian O’Shea and Mrs Sharon Till. If a patient complains on the telephone or at the reception desk, we will listen to their complaint and offer to refer him or her to Mr Damian O’Shea or Mrs Sharon Till immediately. If Mr Damian O’Shea or Mrs Sharon Till are not available at the time, then the patient will be told when they will be able to talk to the dentist and arrangements will be made for this to happen. The member of staff will take brief details of the complaint and pass them on. If we cannot arrange this within a reasonable period or if the patient does not wish to wait to discuss the matter, arrangements will be made for someone else to deal with it. If the patient complains in writing the letter will be passed on immediately to Mr Damian O’Shea or Mrs Sharon Till. Our practice adheres to the standards for patient confidentiality as set out by the governing body for Dentistry the General Dental Council. You can see details of this by downloading their guide Standards for the Dental Team. Our practice fully complies with the Data Protection Act 1998. It is registered with the Information Commissioner's Office. Our registration number is Z5910494. 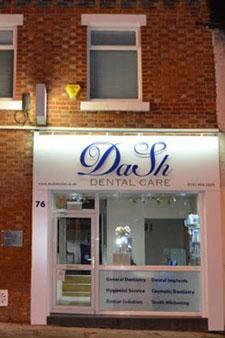 Our practice data controller is Dash Dental Care (Mr Damian O'Shea and Mrs Sharon Till). To download the ICO guide to data protection please click here.